→Do goldfish get lonely? Do you need to add partner for your goldfish or not? Goldfish are some of the most popular pets, but they don't get their fair share of coverage. Those who have them still have a few things they don’t know about them. There are a few misconceptions here and there which seem to degrade the fish. You may have come across them a few times tucked away in a tank at some corner like some indoor flower. Goldfish have a personality and are quite intelligent too. They demonstrate that every day in their own fishy way - this may not have been lost to you entirely. And do goldfish get pregnant? 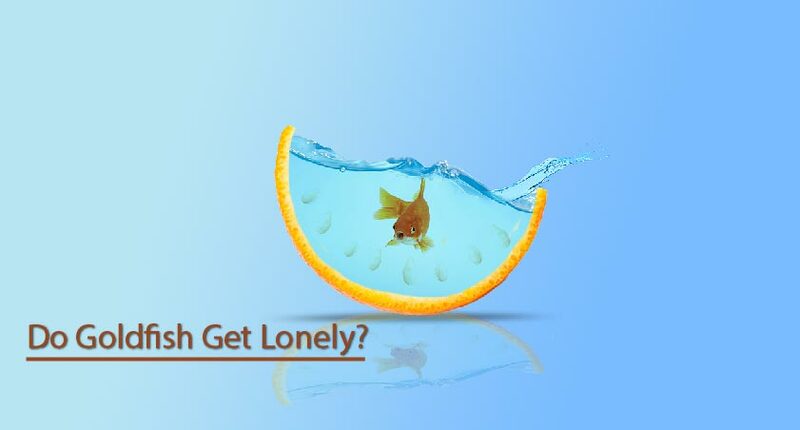 But do goldfish get lonely? Do You Need to add a Partner for Your Goldfish or Not? So, do Goldfish need to be in Pairs? And do goldfish get depressed when alone? They may not be as popular as the cats or dogs, but goldfish are such a sight to behold. They graciously swim from one side to the other in the manner indicating satisfaction. Forget the taunts they give your cat by opening and closing their mouths. The modern varieties are a domesticated kind of the East Asia wild carp. Their direct ancestor was a favorite Chinese dinner, the silver-grey "chi." Occasional genetic mishaps would lead to orange, brilliant red or yellow fish. When released in the wild, such fish were quite conspicuous, and the predators would have a field day. The 9th-century Buddhist monks began keeping “chi” in ponds, away from the predators. Legend has it that Governor Ting Yen-tsan came across the yellow and golden varieties in a pond. It was a Buddhist practice to release rare animal species into the wild. And that is how the goldfish escaped the stew pot into the pods. According to official records, the colorful fish had become a standard feature in the majority of ponds by 975CE. But the wild chi was the shy one. They would hide from humans and not consume anything given to them. Domestication occurred by 1240 CE, and the new varieties were bolder and ate what they were given. The simple answer to this question is, no! Goldfish are not so different from other water dwellers, and so they reproduce by laying eggs. Typically, they are oviparous and not livebearers. This simply means that the females swell with eggs and release them rather than give birth to live babies. The eggs then meet with sperms from a male for fertilization. Both the male and female goldfish experience physical changes before they release the sperms and eggs respectively. In the right conditions, the goldfish are easy breeders. Unfortunately, they may eat the eggs before you even have a chance to notice them. You will need to have both the male and female goldfish to have babies – know your pairing. This is apparently one of the leading questions you ask yourself when you see one swimming alone in the tank. Human beings are social animals in nature, and we have all sorts of devices to maintain that connection. As a result, we may tend to think along our perspective. Goldfish are not quite like us, with the need to connect with others. They don’t have the same desire for social connections the same way we do. They may not know how to get bored and may not need companionship. Regardless of the differences, do goldfish need company? But to answer this question efficiently, we may need to explore their lives in the wild, without captivity. As a matter of fact, goldfish are not solitary creatures. You will often find them in shoals. In a particular study, goldfish exhibited shoaling behaviors. They did foraging and sampled food as a group. During sampling, the goldfish had a reduced food intake which indicates cooperation among them. They are also fast social learners as studies show. When released into the wild, they become invasive and can start eating the eggs of other aquatic animals when they see other fish doing so – they are a quick study. And if one of them learns to feed on them, then this new eating habit quickly spreads to other goldfish. Even though not a good thing, this particular trait informs us that goldfish are social animals – that is the only way that they can pick habits from their fellow goldfish. It is best practice to have goldfish in pairs. Simple observation will tell you that goldfish are fond of engaging with other fish. They seem to love the company. In Switzerland, it’s actually illegal to have goldfish alone in a tank as it is against the animal welfare laws. So it is actually possible to face prosecution in some countries. Still not convinced? Solitary fish, much like us humans can suffer from lethargy and depression. The advice is to have at least two goldfish in a tank. They are not aggressive and so can comfortably live with other community fish. But that is if they are too big for the goldfish’s mouth. Ideal tank mates include gold medaka, danios, and cloud mountain minnows. The Celestial should be with their own varieties as they may find it challenging to compete with fast swimmers for food. Ideally, put goldfish with other fish having similar swimming abilities as we don’t want them to starve. Goldfish are some of the most common pets in American homes, but the majority of people know very little about them. For example, many people assume they are happy on their own, but that’s not how it is. Goldfish get lonely and can get depressed as a result. They are a social animal and usually shoal when in the wild. Goldfish learn from each other and are easy breeders. Typically, you should have a male and female in the tank if you want small babies.